"""The BigKit duffel bag will be your go to grab-and-go base camp bag for any activity. More fun, less mess. You dont have to be a triathlete to recognize that transitions take time away from your activities. These packs allow you to pack everything in an organized logical fashion for quick access so that you can get back to having fun. 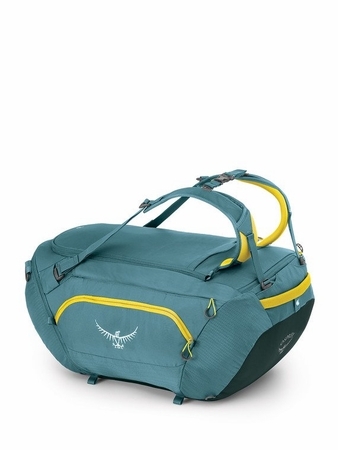 +Zippered side compartment with water bottle carry/webbing straps for attaching accessories"